From Funko. Somewhere deep in the heart of the Pacific Northwest, not far from Funko's new headquarters on Wetmore Avenue, there is a wooded glen known as Wetmore Forest. Among the great mossy, bearded trees, shrouded in mist, lives a mysterious furry band of critters that come in all shapes and sizes, each with their own distinct personality. 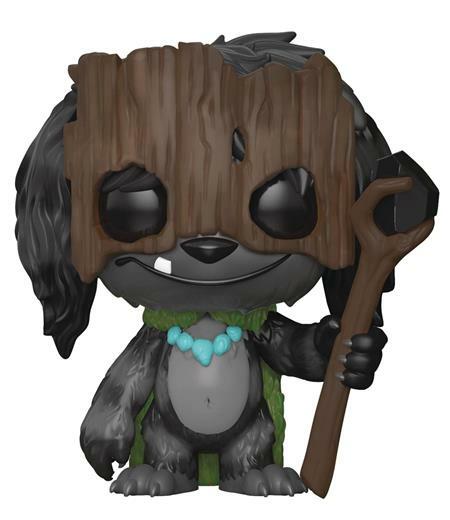 Now, Funko is proud to annouce new Wetmore Forest Pop! monsters! Collect Grumble, Magnus Twistknot, Liverwort, Mulch, Slog with Buddy Grub, Sapwood Mossbottom, Angus Knucklebark and Smoots are available as Pop! Monsters. Slog with Buddy Grub comes with a chase!